To send the Aston Martin Vanquish off with a bang last year—the DBS Superleggera has since replaced it—the British ultra-luxury brand showed off a family of Zagato models. Production may be complete, but Aston Martin isn't done with the Vanquish just yet. 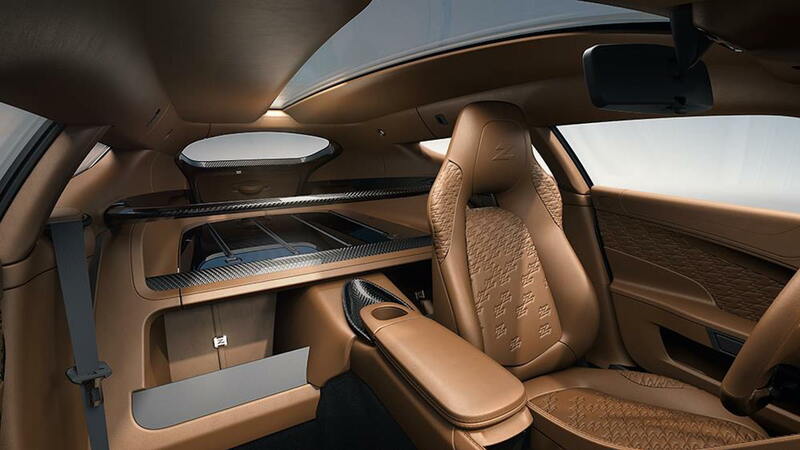 The company showed off the first interior shots of the bespoke Vanquish Zagato shooting brake that made its debut last year. The family of Zagato models includes a Speedster, a coupe, a convertible, and the shooting brake. In proper Zagato form, the bespoke interior of the shooting brake is marvelous. Awash in leather, the cockpit looks properly lush, with a "Z" debossed into each seat as well as other panels. Up top is a skylight that stretches from above the driver all the way back to the rear hatch. Behind the driver is a cargo area, which makes this car a two-seater. 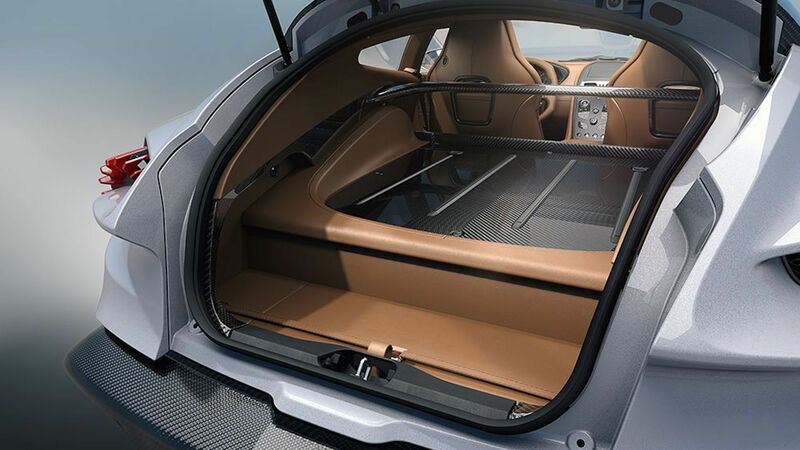 We wonder what types of items a potential owner might put back there, especially considering the leather stretches all the way to the hatch and the cargo area has a carbon-fiber panel. That carbon fiber provides a welcome contrast to the cockpit's tan hue. It also appears some hidden storage may be available under that carbon-fiber piece. 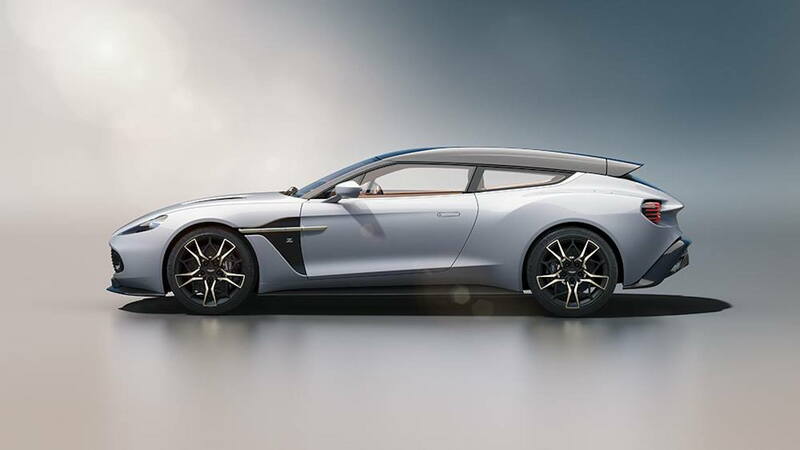 Aston Martin only plans to build 99 Zagato shooting brake models, but as of October 2017, most of the build slots were taken. We imagine that every slot has been sold since then. 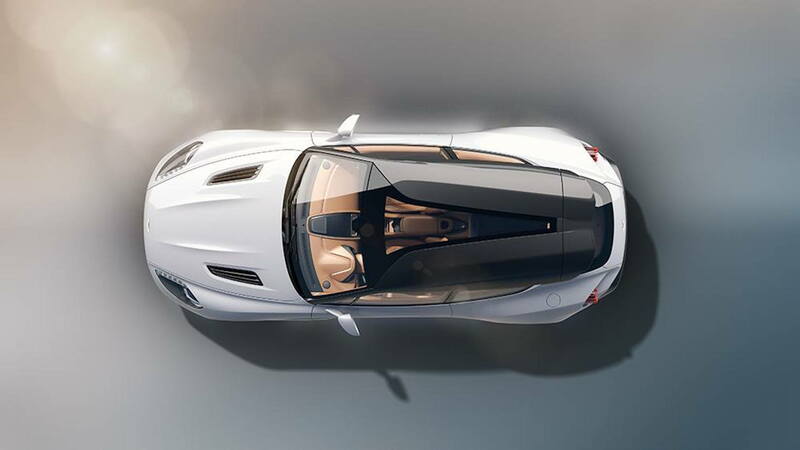 The company never provided a price, but the last we heard, a Vanquish Zagato shooting brake cost a cool $500,000. Some die-hard fans ordered one of each from the limited Zagato family of cars. Not to worry, though. Aston Martin and Zagato will team up again for a DBS GT Zagato, which will debut in late 2019 alongside a DB4 GT Zagato continuation car.